The Uncertainty Music Series presents a double bill this Tuesday (April 21) at 7:30 p.m. in the performance space of Never Ending Books, 810 State Street in New Haven. The opening act is the duo of Chris Cretella (guitar) and Adam Matlock (accordion) to be followed by the solo saxophone improvisations of Keir Neuringer (pictured left). Neuringer lives in Philadelphia but plays in venues around the world. His most current album, "Ceremonies Out of the Air" (New Atlantis), is a 79-minute document of a single performance. He employs techniques developed by artists such as Anthony Braxton and Rashaan Roland Kirk. For more information, go to uncertaintymusic.com. It's Wesleyan Jazz Weekend with 2 concerts in 2 nights in Crowell Concert Hall - the fun starts at 8 p.m. on Friday with 2 student ensembles. Opening the show will be the University Jazz Ensemble conducted by Noah Baerman. Following that performance will be the University Jazz Orchestra directed by Adjunct Professor of Music Jay Hoggard (pictured left.) Expect a program filled with new arrangements of jazz classics and several surprises. For more information, go to www.wesleyan.edu. This show is free and open to the public. Saturday night, Wesleyan welcomes the Oliver Lake Big Band for an 8 p.m. in Crowell Hall. The 71-year old Lake has been a presence on the creative music scene since joining the St. Louis-based Black Artist Group (BAG) in the 1960s. 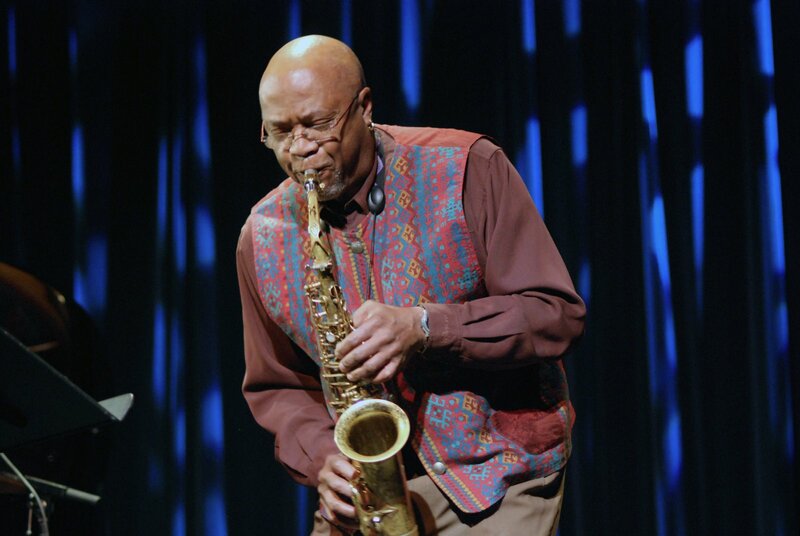 He moved to New York City in the mid-1970s, created the World Saxophone Quartet with Julius Hemphill in 1977 (the grow remains active today), all the while continuing a solo career. He began his own label, Passin' Thru, in 1988 and has released numerous albums with ensembles small and large (including a recording with Professor Hoggard). In May of 2013, his label issued "Wheels", his second recording with his 17-member ensemble (the first CD, "Cloth", was issued in January of 2003.) The music is raucous, forceful, with a generous helping of blues and swing as well as a touch of the "free jazz" that Lake has played throughout his career. For tickets, call 860-685-3355. To find out more about Mr. Lake's fascinating career, go to www.oliverlake.net. 'Tis a busy weekend at The Side Door Jazz Club in Old Lyme and the music definitely has a Connecticut connection. On Friday night, flutist/composer Ali Ryerson (pictured left) will fill the club with music featuring her splendid Quintet. Playing alongside her will be Mark Egan (electric bass), Pete Levin (keyboards), Karl Latham (drums), and Mike DiMicco (guitar). Her repertoire blends jazz classics with originals and she's quite the dynamic musician plus this is one terrific band. Her most recent CD, "Game Changer: The Ali Ryerson Jazz Flute Big Band" (Capri Records), is a fascinating recording in that all the parts, with the exception of the rhythm section, are played by flutists. Doors open at 7:30 p.m. and the first set commences at 8:30. The following night, The Side Door welcomes the Curtis Brothers come to Old Lyme, an exciting quartet led by Luques (bass) and Zaccai (piano), with its blend of Afro-Caribbean music and jazz. Born in Hartford, both studied at the Greater Hartford Academy of the Performing Arts and The Artist Collective and then went on to the Berklee School in Boston. Their ensemble is completed by drummer (and Hartford native) Richie Barshay and percussionist Reinaldo De Jesus. Rest assured, the performance space will be filled with poly-rhythmical delights as well as heart-felt ballads. For ticket information, go to thesidedoorjazz.com or call 860-434-0886. 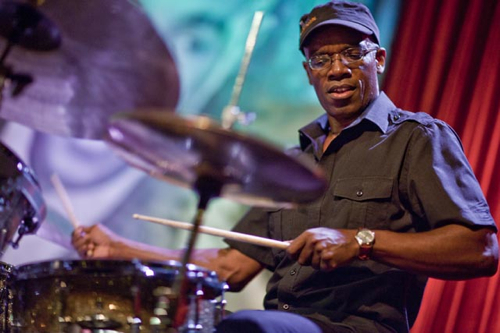 Back to Friday night and off to Firehouse 12 in New Haven where the great drummer (and now composer) Rudy Royston brings his 303 ensemble to the Elm City performance space. Royston, who grew up in the Denver, Colorado area (whose area code supplied the name for the band), has become one of the busiest drummers on the modern scene. He works with Dave Douglas, with trumpeter Ron Miles, Bill Frisell, saxophonist JD Allen and so many more. This splendid quintet - guitarist Nir Felder, saxophonist Jon Irabagon, trumpeter Nadje Noordhuis and bassist Yasushi Nakamura - plays with fire and delicacy, shown to great display on its self-titled Greenleaf Records release of earlier this year (the CD also features bassist Linda Oh whose quartet Royston plays in.) The room is going to rock! For more information, go to firehouse12.com or call 203-785-0468. On Saturday night, The Buttonwood Tree, 605 Main Street in Middletown, brings back guitarist/oudist Jussi Reijonen and his Un quartet. Their first appearance in the performance space last fall was a great success. As a young boy, the Finnish born Reijonen traveled throughout the Middle East and Eastern Africa, areas whose music made a large impression on his development. His debut CD, "Un", ranges from fiery original works to an intelligent reworking of John Coltrane's "Naima." The core band on the recording - Bruno Raberg (bass), Turkish-born Utar Artun (piano) and Palestinian-born Tareq Rantisi (percussion) - return with Reijonen and they are a mighty impressive ensemble. For more information and reservations, go to www.buttonwood.org. To learn more about the guitarist, go to jussireijonen.com.